An innovative, motivated and well organised company director who is able to start and complete complex European funded programmes. An excellent communicator with a background of working in partnership activity coupled with strong leadership skills. Experience of both public and private sector projects, commissioning, evaluation and bid writing. • Owner of RLN (UK) running EU projects aimed at supporting international trade and communication. • Managed the highly successful Response to Redundancy programme and Beyond 2010 programme which are European Social Fund (ESF) projects valued at £10m. • Winner of the EEDA award for ‘Excellence in partnership working’ for liaison with the public and private sector. • Innovative project ideas have twice featured on BBC Working Lunch and numerous Look East interviews. 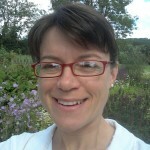 • Successful public sector bid writer bringing more than £25m of funding to the East of England. 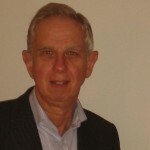 Paul has been Director of Teevan Consulting Network for 19 years. Paul now works for his own network and for RLN. He was previously a Principal Consultant in Ernst & Young for 6 years and then Director of a 3i financed buyout of an Ernst and Young subsidiary. 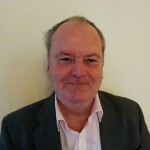 Paul works in partnership with other consultants through his network and specialises in project and programme evaluation, skills and business support consultancy and European funded projects. John started off his career as a chartered civil engineer with post graduate qualifications in Management and Marketing. He has set up and eventually sold two businesses, the second one making and selling hot air balloons internationally which he sold to a Venture Capital company in 1996. Prior to setting up RLN he worked for Cranfield University for 10 years, managing business development programmes for SMEs. Design, development and delivery of skills training programmes which supported over 4,000 SMEs across the Region. Development of leadership and management programmes for SMEs.